Insurtech startups are set to reinvent the insurance industry. Many policy holders and prospective clients are demanding seamless, speedy, on-demand experience that they get in so many other areas of the digital economy. As a result, innovative solution providers are emerging in every category of the insurance industry from health insurance to cyber crime with new technologies that help sync with fast changing customer behavior, new market dynamics, and increasing competitiveness. Partnerships between insurtechs and incumbents in an open architecture that fit the marketplace model are emerging to provide consumers with the best products at the lowest costs. Many solution providers and technologists are exploring risk management, peer to peer underwriting, and use of wearables/devices with a mix of advanced analytics, blockchain technology, algorithms, machine learning, and artificial intelligence—delivering groundbreaking solutions into the insurtech world. 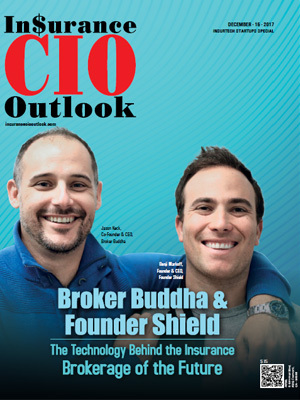 This edition of Insurance CIO Outlook features companies with expertise in Insurtech solutions to update you about the insurance technology solutions you can choose from. To help CTOs, CIOs, and CEOs find the right insurtech solution provider, a distinguished selection panel comprising CEOs, CIOs, VCs, and the Insurance CIO Outlook magazine’s editorial board has selected a list of the top insurtech startups that leverage innovative technologies and strategies. 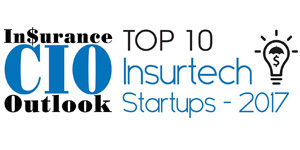 We present to you Insurance CIO Outlook’s Top 10 Insurtech Startups - 2017.